Eric James Brindley Nicolson was missing in action on May 2nd, 1945 as Wing Commander when flying as an Observer with a B-24 Liberator of No. 355 Squadron. He is mentioned on the Monument for the missing of the Commonwealth in Singapore, panel 445. January 19th, 1945: Squadron Leader (war subs., seniority June 17th, 1942). August 11th, 1944: Wing Commander, Headquarters, 3rd Tactical Air Force, Comilla, Bengal. 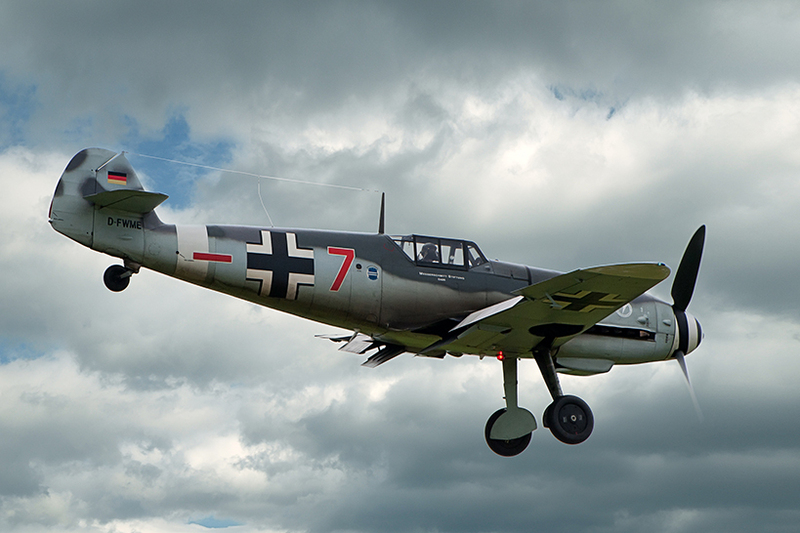 August 16th, 1940: Messerschmitt Bf 109. "During an engagement with the enemy near Southampton on i6th August, 1940, Flight Lieutenant Nicolson's aircraft was hit by four cannon shells, two of which wounded him whilst another set fire to the gravity tank. When about to abandon his aircraft owing to flames in the cockpit he sighted an enemy fighter. This he attacked and shot down, although as a result of staying in his burning aircraft he sustained serious burns to his hands, face, neck and legs. Flight Lieutenant Nicolson has always displayed great enthusiasm for air fighting and this incident shows that he possesses courage and determination of a high order. By continuing to engage the enemy after he had been wounded and his aircraft set on fire, he displayed exceptional gallantry and disregard for the safety of his own life." Flight Lieutenant Nicolson’s Victoria Cross is publicly displayed at the Royal Air Force Museum, Hendon, Great Britain. Awarded with "BATTLE OF BRITAIN" clasp.